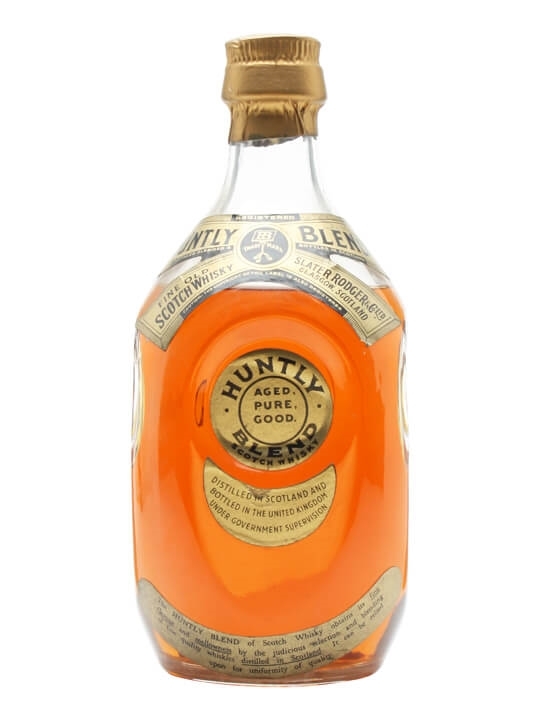 75cl / 40% – An old bottle of Huntly blended whisky. The creators of the blend, Slater Rodger & Company of Glasgow, used to carry out a large amount of blending and bottling for John Walker & Sons, who then took a controlling interest in the company. We estimate this was bottled in the 1940s, when the brand was under the Distillers Company Limited (DCL) umbrella.